The following are court results for the Observer area from Hastings Magistrates’ Court for December 6 - December 14. Joel O’Hara, aged 24, of Palace Court, Hastings, pleaded guilty to assaulting a woman by beating her. The offence took place at Hastings on September 23 last year. He also pleaded guilty to using threatening behaviour on the same date. He was fined £120 and ordered to pay a total of £125 in compensation. Lewis Pennington, aged 19, of Hollington Old Lane, St Leonards, pleaded guilty to stealing two bottles of Kopparberg cider, worth £5 from the Jet garage in St Leonards. He was given a one year conditional discharge and ordered to pay £5 in compensation. Andrew Well, aged 31, of Arbourvale, St Leonards, pleaded guilty to assaulting a woman by beating her. The offence took place at St Leonards on November 18 last year. He was fined £117. The court also issued a restraining order. Jonathan Yeats, aged 46, of Wilton Road, Bexhill, pleaded guilty to being drunk and disorderly in a public place. 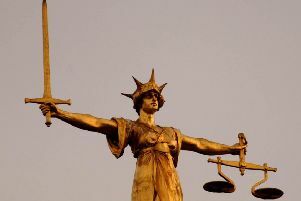 The offence took place at Wrestwood Road, Bexhill, on November 16 last year. He was fined £120. Sofia Kafizas, aged 36, of Alexandra Road, St Leonards, was found guilty of assaulting a woman by beating. The offence took place at St Leonards on August 14 last year. She was sentenced to 12 weeks in prison, suspended for one year. Magistrates said the reason for the sentence was that it was a deliberate attack. They made a community order with a requirement of 80 hours of unpaid work and ordered her to pay £300 compensation. They also issued a restraining order. Thomas Fear, aged 22, of no fixed address, pleaded guilty to damaging a glass door panel at Best One shop in Ninfield Road, Bexhill, on July 13 last year. He was ordered to pay £180 compensation. Christopher King, aged 25, of Higham Gardens, Guestling, pleaded guilty to assaulting a woman by beating her. The offence took place in Rye on September 7 last year. The court made a community order with a requirement of 50 hours of unpaid work. Anthony Cahill, aged 2), of Granville Road, Broadstairs, Kent, pleaded guilty to assaulting a woman by beating her. The offence took place at St Leonards on August 31 last year. The court made a community order with a requirement of 80 hours of unpaid work and ordered him to pay £200 in prosecution costs. Luke Morgan, aged 28, of Grasmere Road, Bromley, Kent, pleaded guilty to stealing a Seat vehicle, which was later involved in an accident. The offence took place at Seven Acre Close, St Leonards, on September 28. He also pleaded guilty to driving without a licence and with no insurance on the same date. The court made a community order with a requirement of 120 hours of unpaid work and banned him from driving for one year. Luke Ellis, aged 29, of Lancing Way, Polegate, pleaded guilty to four charges of harassment by being in breach of a court restraining order. The offences took place at St Leonards between July and November last year. He also pleaded guilty to causing £230 and £77 damage to cars at St Leonards on July 28 last year. He was committed to Lewes Crown Court for sentencing on January 12. Jennifer Boore, aged 74, of Milward Crescent, Hastings, was found guilty of assaulting a woman. The offence took place at Fairlight Country Park, Hastings, on April 26 last year. She was fined £600 and ordered to pay £600 in prosecution costs.